Known as “The Gallery”, this 50′ x 10′ long hallway is the grand passageway leading into the parlor. In a turn of the century sailing community on Cape Cod, sits a beautiful 1906 shingled style summer cottage with an interesting history. Once owned by the renowned Saltonstall family of Boston, this home served as the summer retreat for this prominent family who enjoyed the Cape, sailing, and all aspects that this part of New England had to offer. Fast forward to a modern-day renovation! At the top of the list was updating a significant swath of the floor space in the home. The material of choice was reclaimed thin brick, that was to be installed in the new section of the home over joists and particle board, complete with heating panels. Why? It had the vintage character that would tie into the aesthetics of the home, AND…more importantly, would be functional for a handful of very important family members. 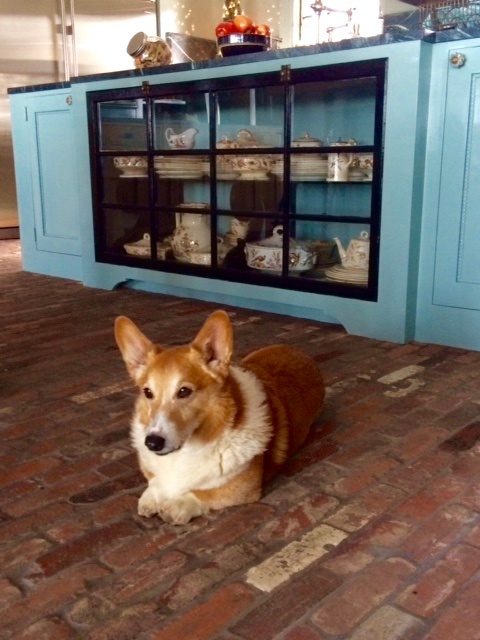 Welsh Corgi’s….6 of them in all! With radiant flooring built underneath, what could be better? As an avid dog rescuer, the homeowner’s floor choice had to be durable enough to withstand anywhere from 3-6 dogs at any given time. 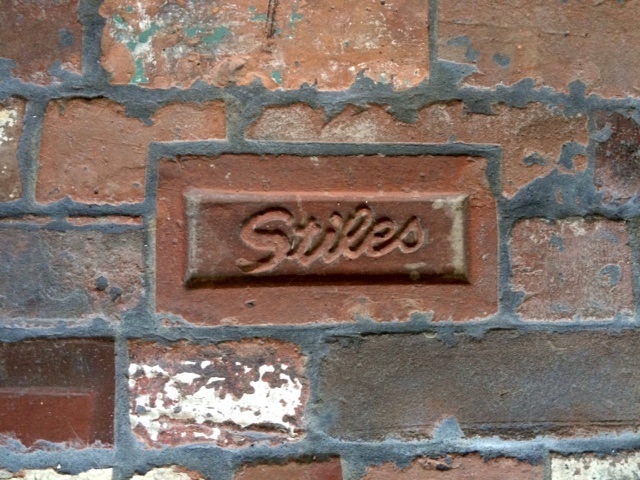 With touches of old brick on random exterior walkways, bringing brick inside was an obvious choice. A dark charcoal grout and a good sealant were the finishing touches needed to create a sweeping vintage floor that looks like it had been in place since the early 1900’s. 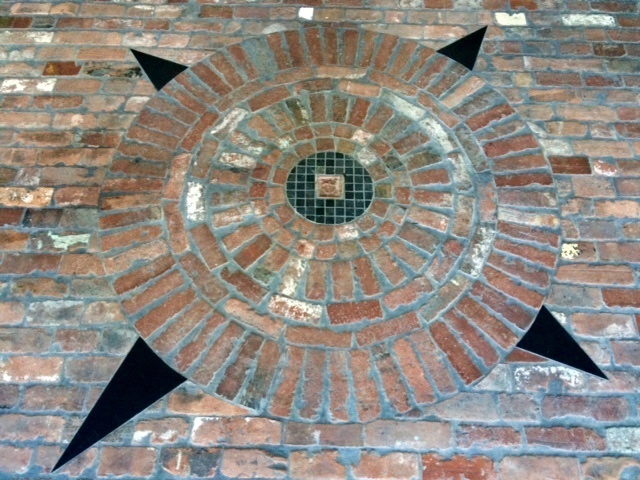 The mason supplied several antique bricks with the original stamping that he happened to have on hand–the perfect addition to this stand out floor. 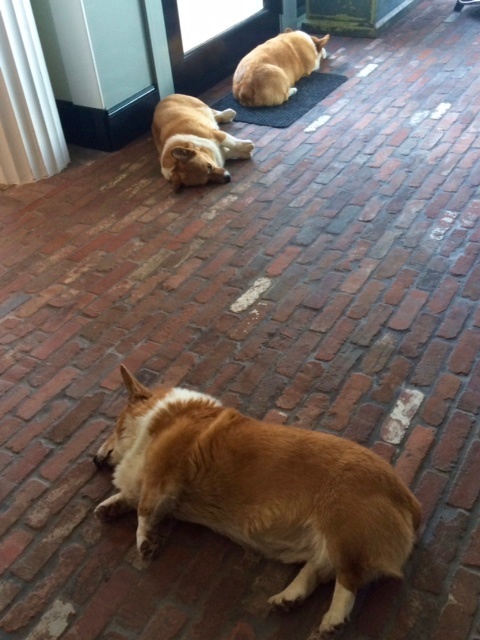 Reclaimed thin brick flooring can support these sleepy dogs and keep them cozy. Complete with 6 chimneys, horsehair plaster walls and many unique elements throughout, this is one standout summer cottage! 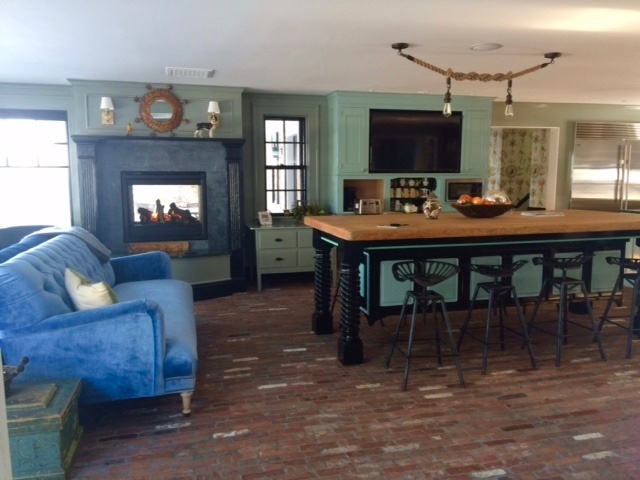 The patina of our Mill Blend, Reclaimed Thin Brick Veneer is truly loved by all. A summer cottage by the ocean would not be complete without a compass rose. If these happy and content canines have enticed you to think, “Let’s Start A Brick Project!” give us a call or check us out online at Stone Farm. 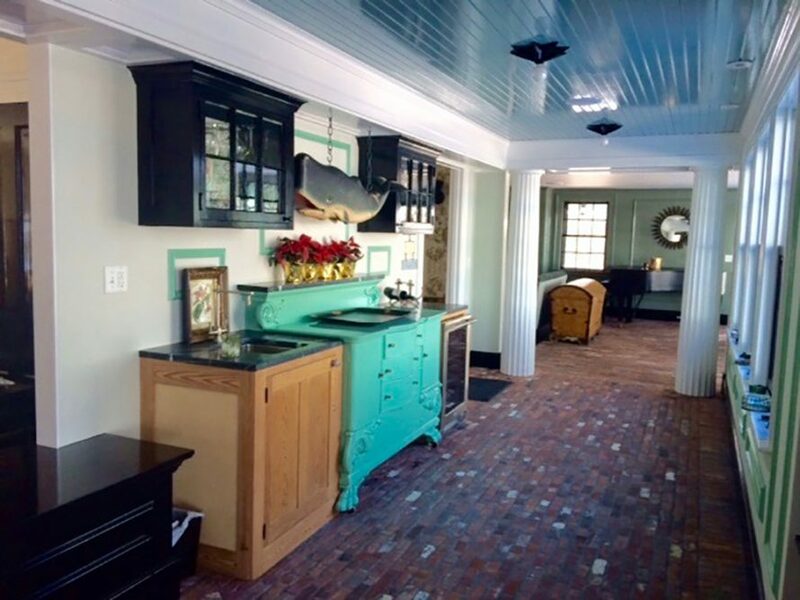 The possibilities are endless when it comes to uses for reclaimed thin brick veneer: floors, accent walls, wine cellars & kitchen backsplashes are just a few!